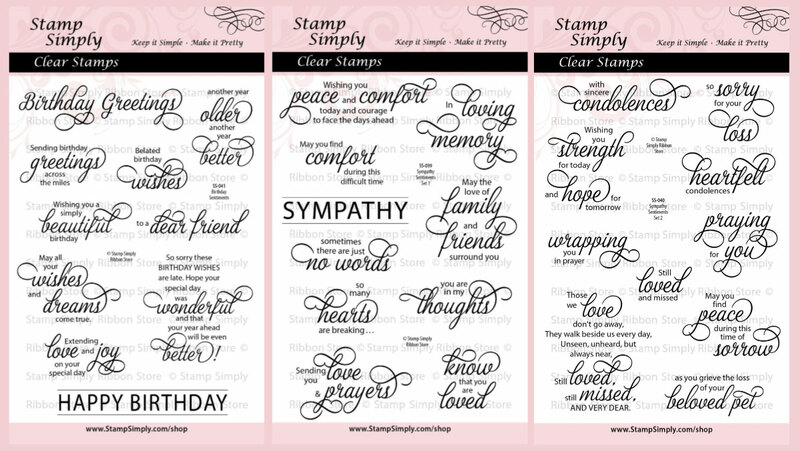 Sympathy cards are always a challenge to make, and I'm grateful for lovely stamp sets and supplies from Stamp Simply that convey thoughts and words that I find difficult to put together on my own. 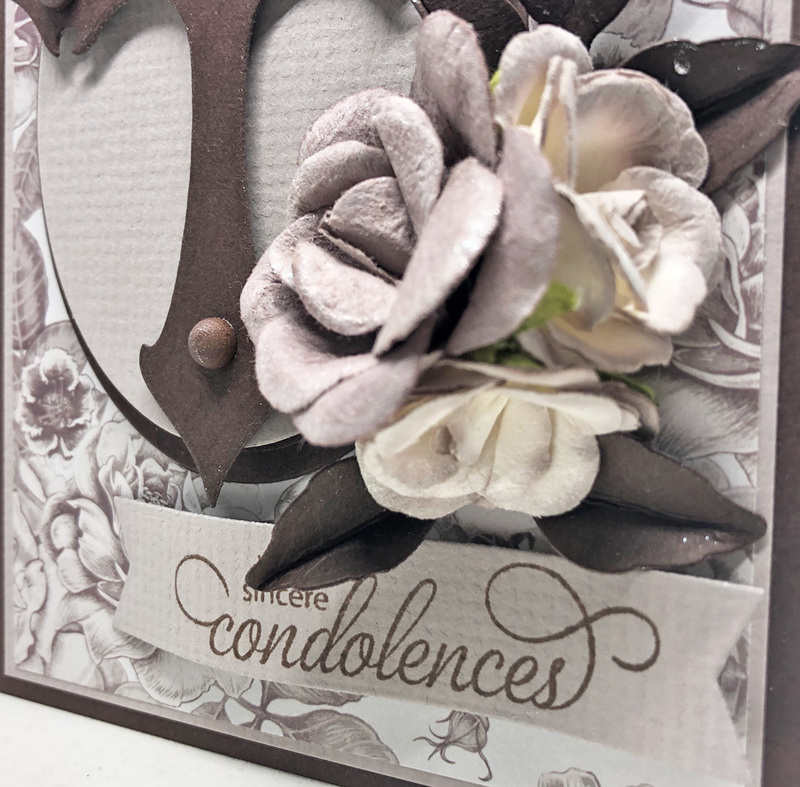 I often deliberately choose brighter, more cheerful color schemes for sympathy cards but for this one, this muted color scheme really spoke to me. 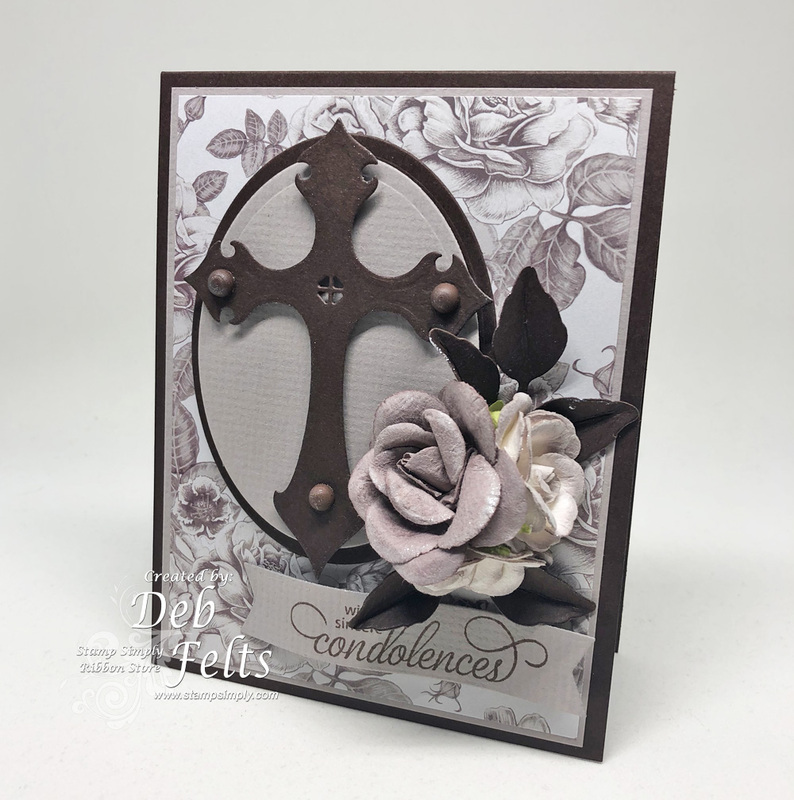 Our brand new cross dies are so elegant they make a perfect focal point. 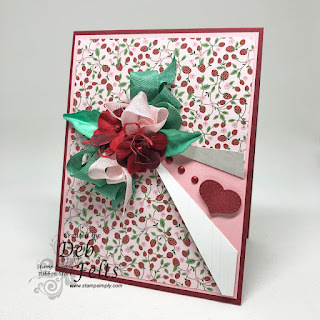 For the embellishment, I put together a cluster of Prima roses with a few die-cut leaves and a sentiment stamped onto a banner die. The sentiment inside is from our other new sympathy set. It's nice that these come separately or as a bundle. Being able to mix and match is nice...a sentiment that fits perfectly for one person or family might not be so perfect for another. 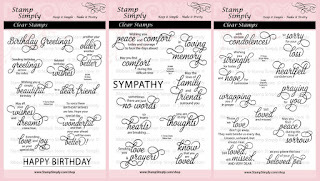 Our new Stamp Simply Birthday Sentiments set is so beautiful! I love how our new sets mix and match with former sets, giving lots of options for combining sentiments and styles. 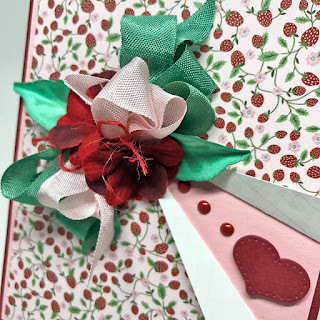 a Farmhouse Pierced Nested Hearts die allows the inside sentiment to peek through the inside layers. Gotta love that pop of this year's color, Living Coral and these beautiful designer papers. 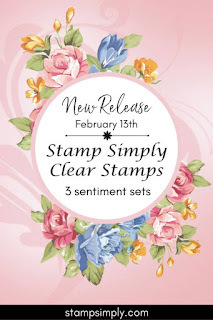 Our recently released Stamp Simply sentiment sets make card-making so easy, especially when paired with papers that feature punch-out elements or ATC-like designs that can give one a head start in designing. 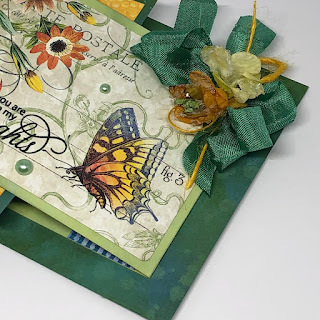 Because the print was so full of lovely, vibrant color, I decided to add some distress oxides to my card stock to integrate the background colors with the rest of the design. 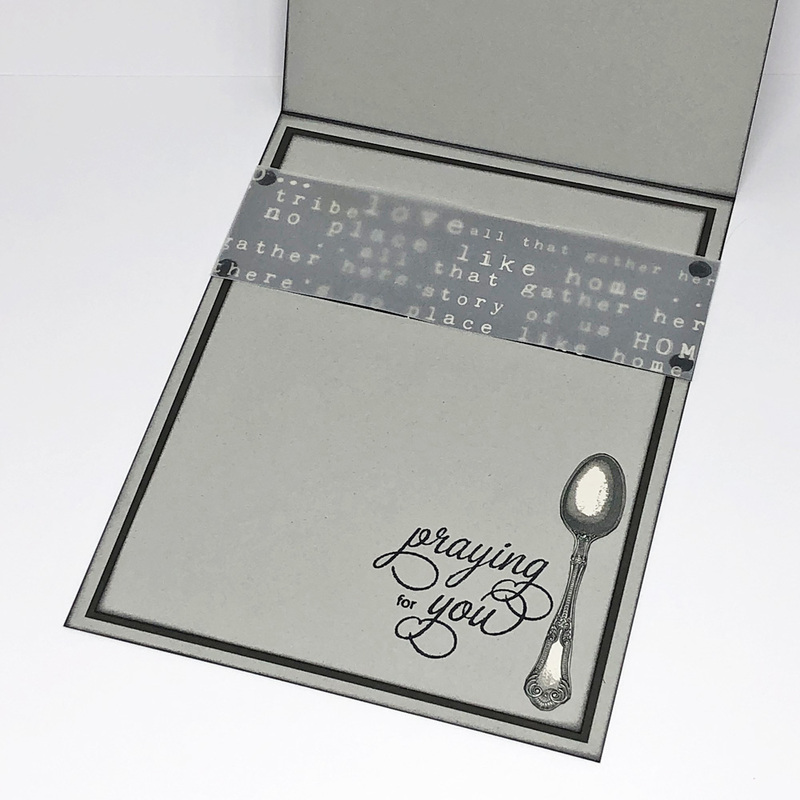 The inside has another beautiful, prayerful sentiment. Green and blue are such comforting, tranquil colors. 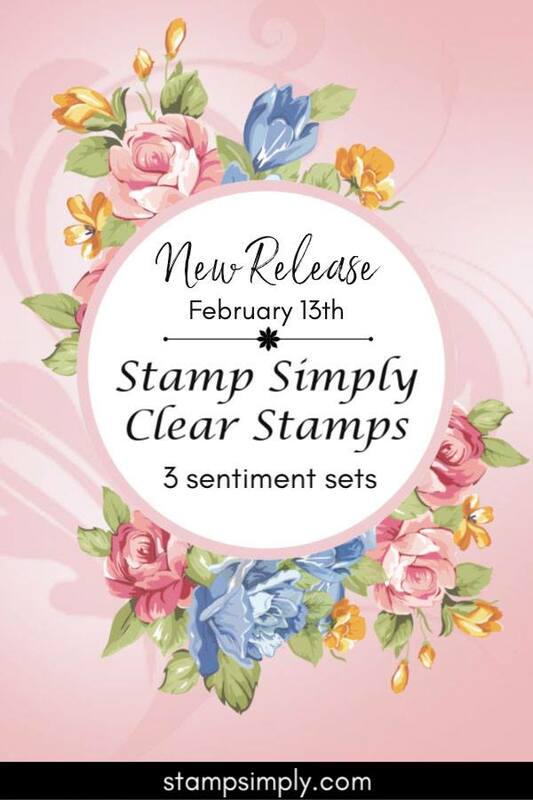 All of us at Stamp Simply are so excited to be sharing three new sentiment sets...and they are now LIVE in the store and ready for purchase! 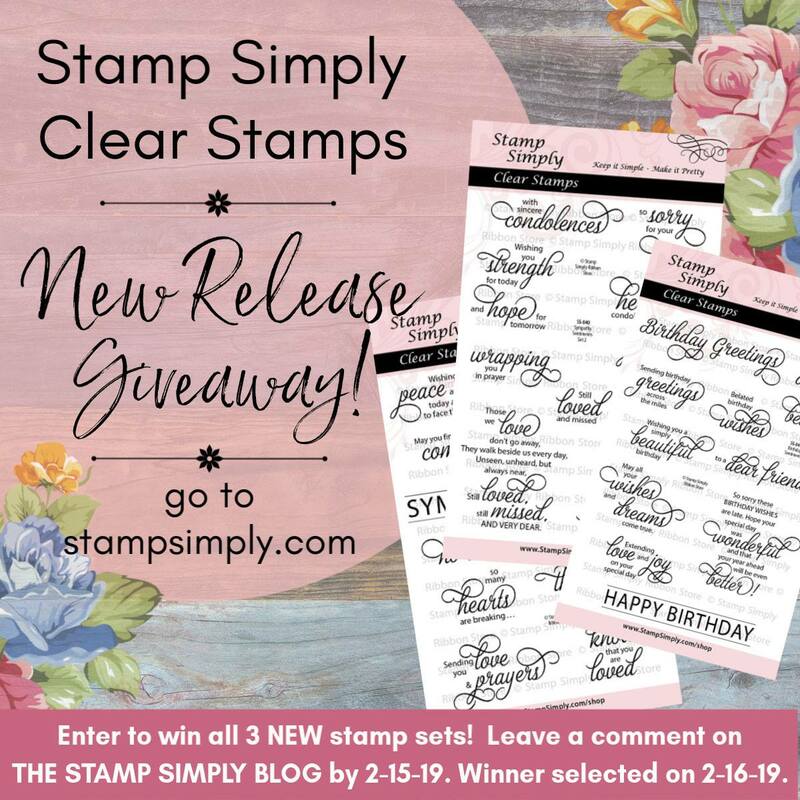 We're also hosting a giveaway ON THE STAMP SIMPLY BLOG, so be sure you visit and comment on the give-away post THERE! 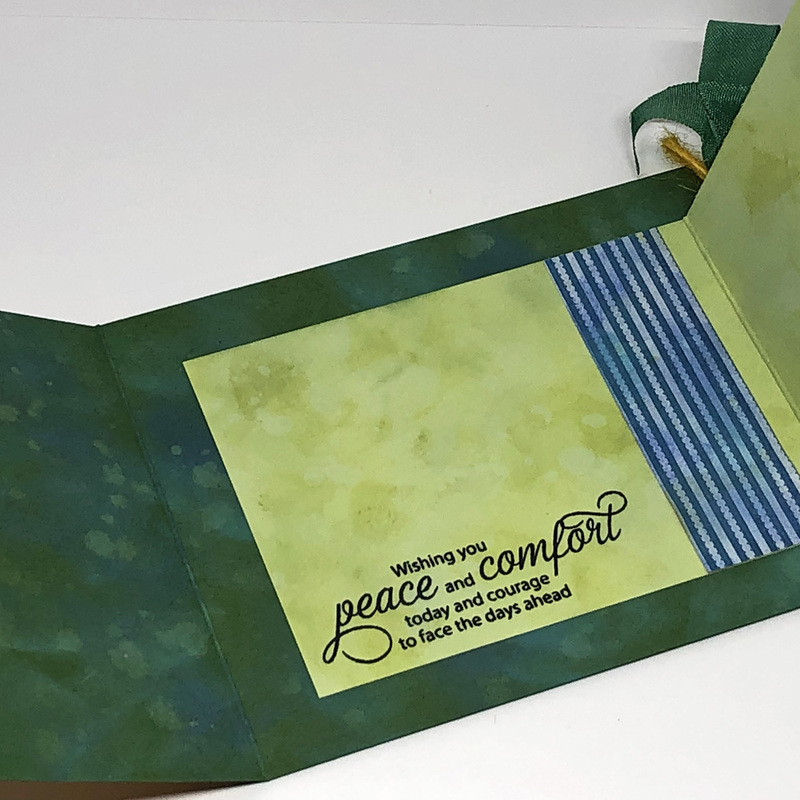 Hopefully you have already been following along there this week, as each day we've been sharing cards that our designers have created using these brand new sets. It's so very hard to lose a loved one. Faith, family and friends help us through the hardest part until we are finally able to remember without so much pain. 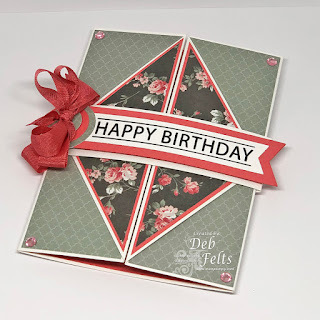 Cards and letters bring soothing words of love, comfort and healing. Here's my card for today, using a beautiful sentiment from our new Sympathy Sentiments Set 2. Here's the inside of my card, with one fussy-cut silver spoon to accent another beautiful (and powerful!) sentiment. The designer paper at the top is black with white text, so I toned it down a bit with a layer of vellum over top, softening the contrast and keeping the focus on the sentiment at the bottom. I will be sharing two more cards using these new sets in the coming week, so I hope to see you again soon! 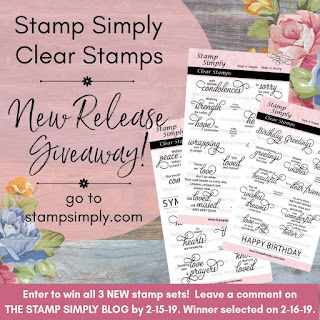 Today's Stamp Simply card looks like a Valentine and very well could be, but the local Strawberry Festival just a month away is what actually inspired it. I was flipping through a paper pad and came across this cute strawberry print. Mmmm, I love strawberries! They're my favorite! Inspiration, and (I found out later) an OOPSIE...the sheet was actually tucked into the wrong paper pad. It's Authentique, just not from the Authentique pad I thought. 😳 This one is retired. I loved the look of this particular color of green seam binding against the vines in the paper, but didn't have the right color of green card stock to match. No problem! I die cut a few leaves from white card stock, colored them with a Copic marker and used the leaf die to "stencil" the veins/markings with distress ink. With that beautiful seam binding, some jute thread and Petaloo mini blossoms, the leaves provide a focal point on the card front and bring a pop of color to the inside as well. 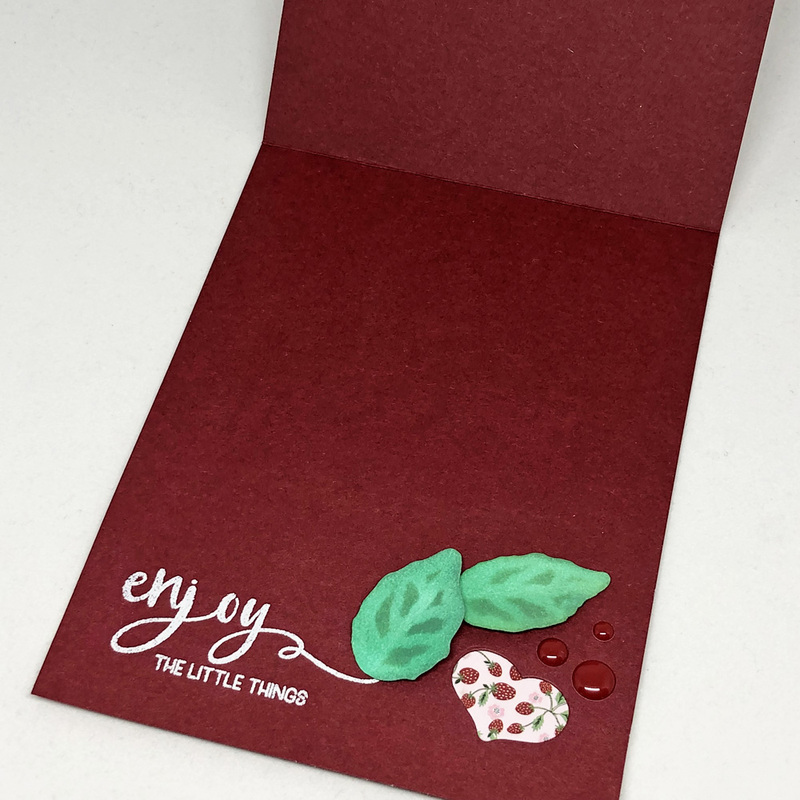 I had only this one piece of card stock in perfectly matching dark red. Not even another single scrap for that little tiny heart...so I die cut the heart from one corner to use on the front of the card, then folded the card stock so that the opening was on the back/inside. I glued a strip of the strawberries designer paper to the back of the card so that it peeks through the heart-shaped opening, adding a stamped/embossed sentiment, a couple more leaves and some enamel dots. 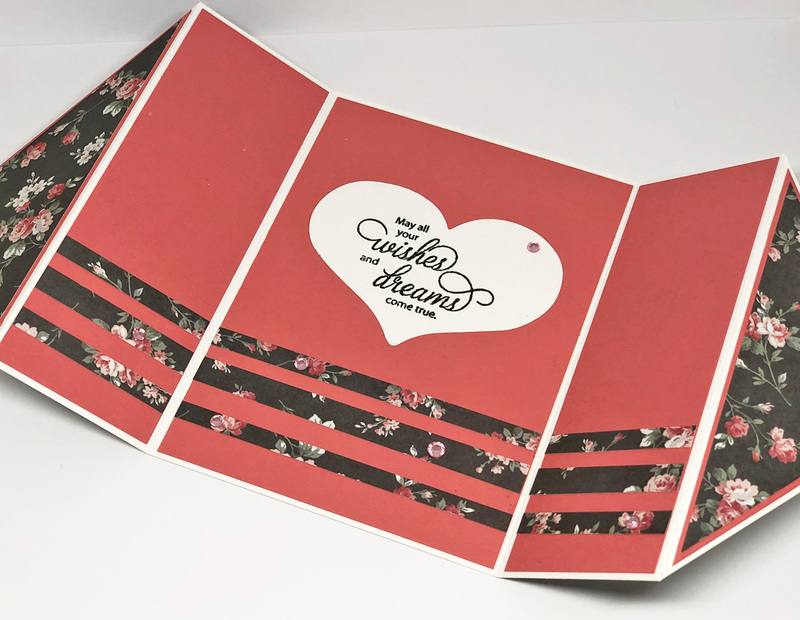 A cute solution that solved another card stock shortage problem. 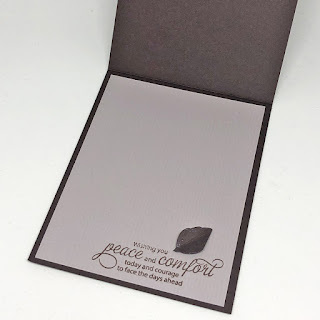 I really need to make a card stock order soon!